Perfect for parties or a gift for the hostess. 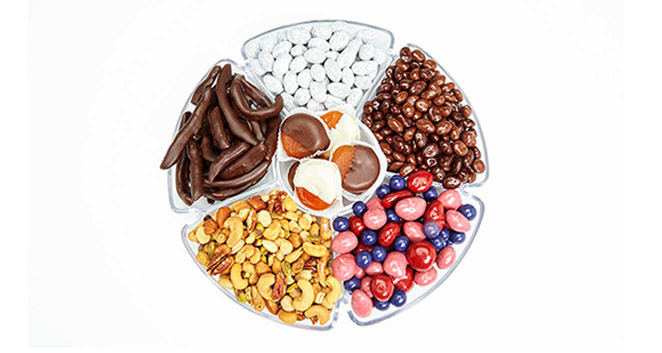 Our acrylic tray is filled with nuts and chocolate covered dried fruits. Sure to be a crowd pleaser at any event or celebration. 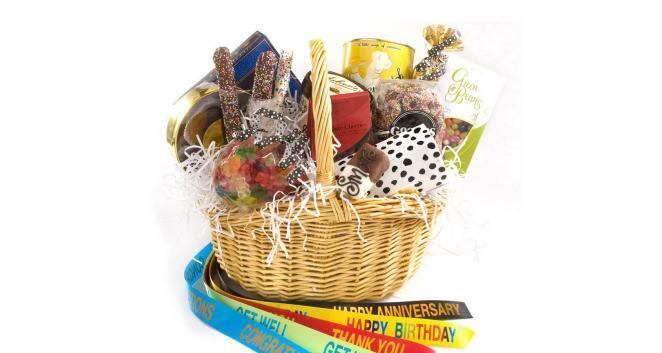 Express your best wishes with this gift basket filled with gourmet chocolates and candies. 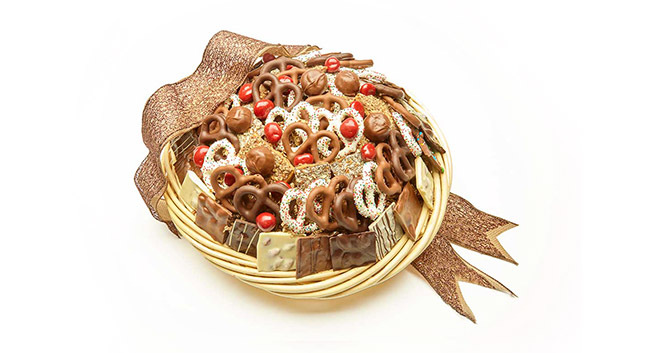 It’s loaded with English toffee, chocolate covered pretzels, cookies, candy—cellophane-wrapped and adorned with a bow. Guaranteed to bring a smile to everyone. You don’t need a special occasion to show you care. 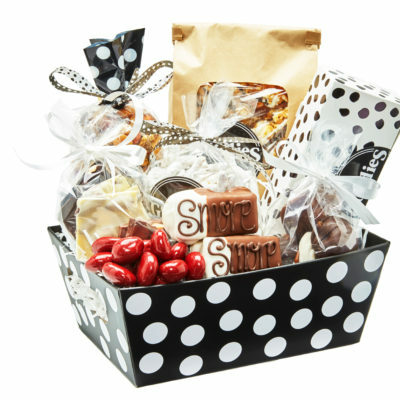 Make someone’s day sweeter with this stylish basket filled with delicious chocolate confections and gourmet treats. 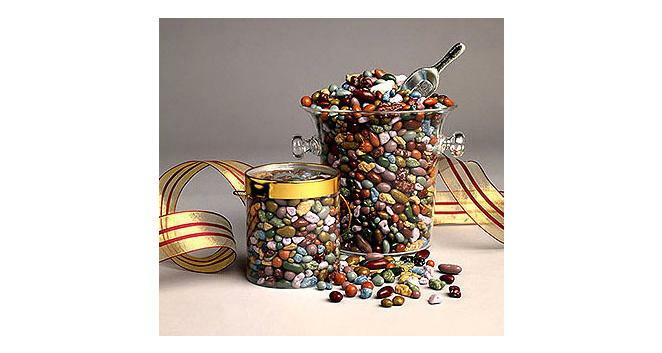 Our acrylic wine cooler is brimming with delectable chocolate “rocks,” enough for a large crowd! 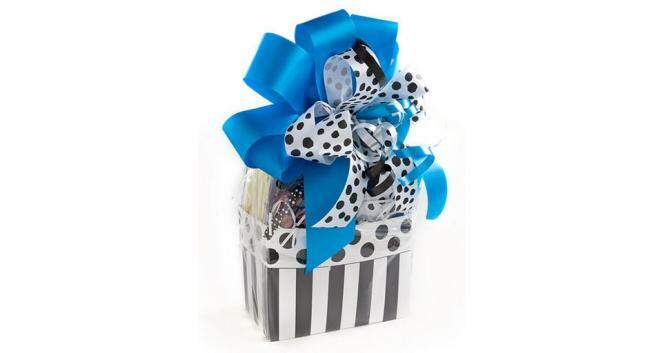 A thoughtful gift for birthdays, anniversaries and all occasions. Also available in a small plastic container($14). 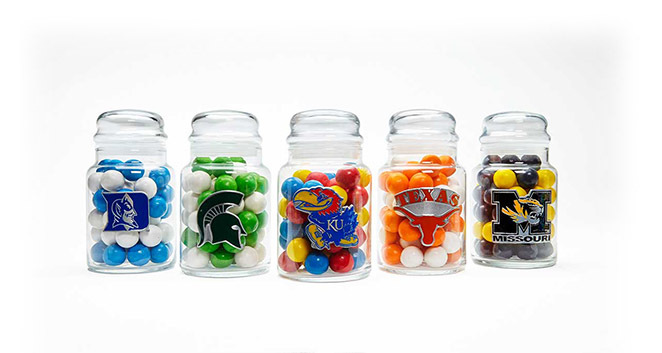 Send love to your college students or congratulations to a graduate with these college themed candy jars. The glass jars are filled with colorful giant gumballs. Please indicate your school of choice in the notes section on the check out page. 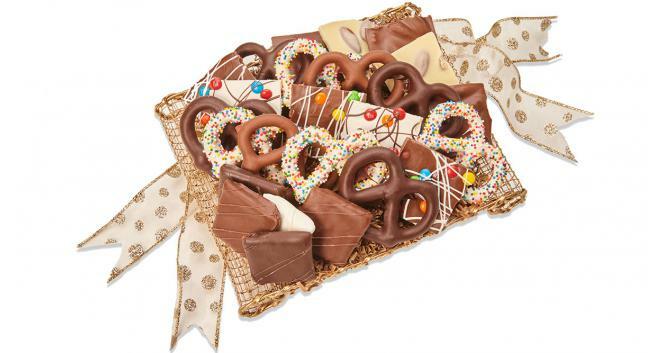 Satisfy your taste for sweet and salty with this delicious gift. 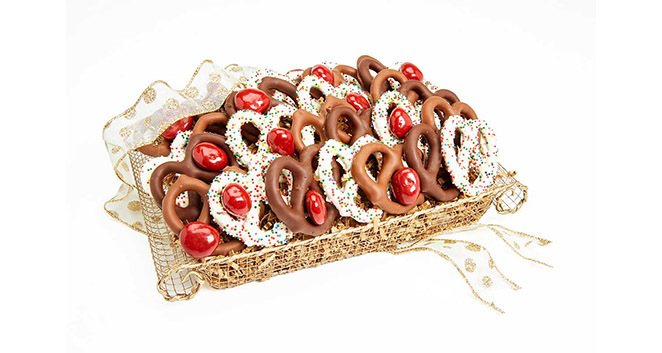 Our Pretzel Tray is an assortment of chocolate covered pretzel twists topped with chocolate cherries—presented on a gold mesh tray and finished with colorful ribbons. Give this gift for: birthdays and anniversaries…housewarming and hostess gifts…get wells…thank-yous… sympathies…and retirements. These decorative gift boxes are filled with a selection of Goodies, including our famous English toffee. 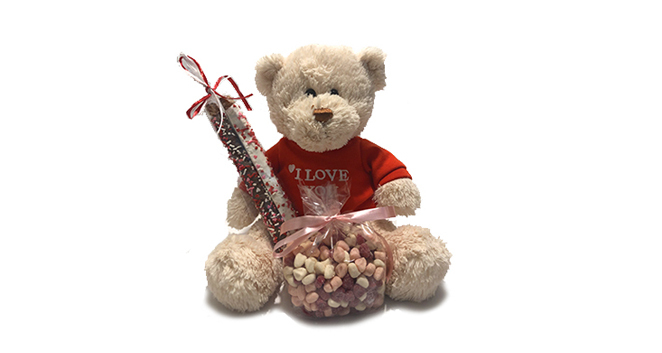 It’s a great gift that expresses your best wishes, perfect for all occasions.